Patients are being warned that manual devices for checking blood pressure may not be accurate. 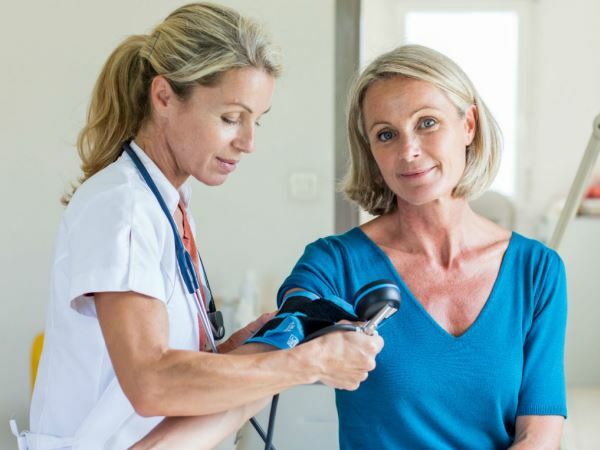 A study conducted by researchers at the University of Montreal Hospital Research Centre (CRCHUM) has found that more than half of family doctors in Canada are still using manual devices to measure blood pressure. But the academics warn that use of the "dated technology" may lead to misdiagnosis. "About 20 per cent of people receiving treatment for hypertension don't actually have a problem and do not need medication," said lead author Professor Janusz Kaczorowski. "This is due mainly to the fact that their blood pressure was improperly measured." Blood pressure is pressure that the blood exerts on artery walls. Calculated in the arm artery, it is expressed in two numbers: the value when the heart contracts (systolic blood pressure) and the value when the heart relaxes between two contractions (diastolic blood pressure). Normal blood pressure is when systolic measures in at below 140 mmHg and diastolic pressure is below 90 mmHg. Anything above these values gives a person high blood pressure (hypertension). Accordingly, Professor Kaczorowski adds that the equipment used to measure blood pressure has changed a lot over the last 20 years, and an increasing number of medical clinics are equipped with automatic electronic devices. He urges doctors and patients to request the new technology if they are unsure about the blood pressure readings taken in the past. "Clinicians should use automatic devices," he said. "They are more expensive but more precise because they take several measurements. Manual measurement is acceptable if it's properly done, but that's often not the case. To take blood pressure the right way, a 12- to 15-minute period is required. We know that the average visit to a family doctor lasts 10 minutes. We have to rethink how patient visits are organised so that the patient can be left alone in a room while the measurement is taken." The full study has been published in the journal Canadian Family Physician.